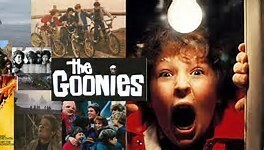 Open Air Cinema - The Goonies! 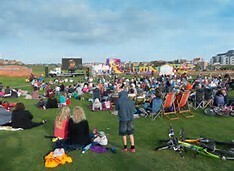 Seaford Town Council is excited to announce that The Goonies (Cert pg) will be shown in The Salts Recreation Ground on Monday 10th April 2017 at 8pm. Tickets are only £5 for a child and £9 for an adult and can be bought at the following website: www.pop-up-events.net/upcoming-events raising funds for MacMillan Cancer Support. 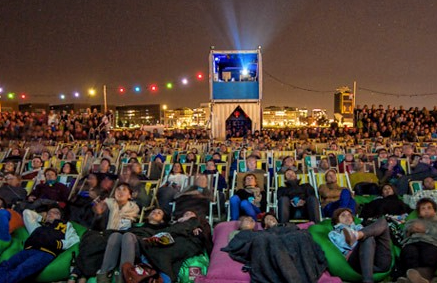 The cinema also has a bar and food, so come and make the most of this opportunity to enjoy a classic film in an amazing location with a locally sourced beer, cider, wine and soft drinks! The Goonies is a cult -classic from 1985, well known for its non-stop treasure seeking adventure directed by Richard Donner. Don’t miss the opportunity to follow The Goonies on their quest through underground passages, pirate ships and waterfalls whilst enjoying food, drinks and friends – bring blankets and cushions and make yourself at home. There is only a limited amount of tickets available so make sure to get yours soon to avoid disappointment.